Finding Yager Stadium turned out to be a strange trek though woods and farmland (see post on Yager Stadium), but it ended in a pleasing result. The first quarter saw Kent State take control with a 14-3 lead under gray skies. 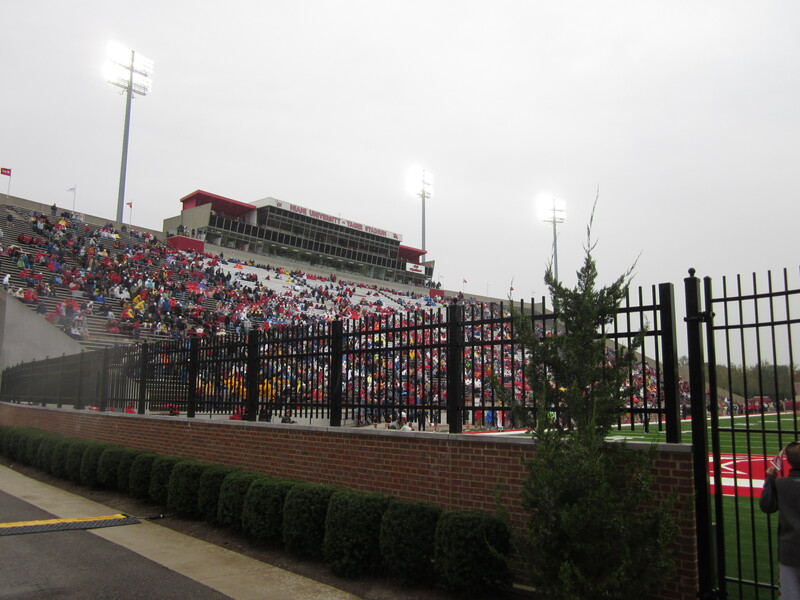 The second quarter saw the skies open releasing cold rain on the Redhawk fans that came to watch their team.